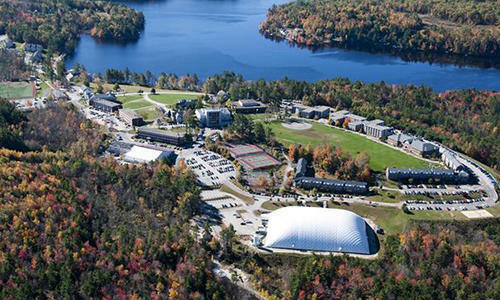 Franklin Pierce University is offering 20 full-tuition scholarships to students at a small private college in Massachusetts that is set to close if they enroll as full-time residential students at the New Hampshire school. Mount Ida College in Newton, Massachusetts, plans to close at the end of the semester. Officials announced that undergraduate students will be offered automatic admission to the University of Massachusetts' Dartmouth campus. In addition to offering scholarships, Franklin Pierce in Rindge says it also will provide Mount Ida students in good stand with automatic admission with no application fee and says students are eligible to receive generous transfer scholarships. Students applying to community colleges in New Hampshire will no longer have to pay an application fee. The Community College System of N.H. says it is eliminating the $20 fee in an effort to remove barriers for students interested in attending college. The Senate has rejected a bill that would have rolled back the requirements needed to be a school nurse. The bill would have repealed requirements added a few years ago that school nurses have specific skills in public health and at least three years’ experience in pediatric medicine. Some school districts have argued the added requirements have made it hard to fill school nurse positions.